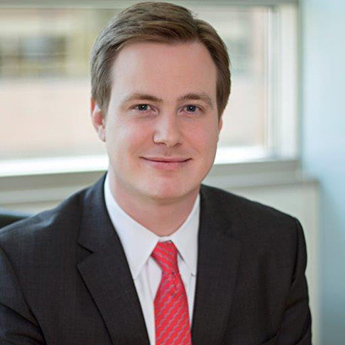 Jason W. McElroy is a partner at the law firm of Weiner Brodsky Kider PC. Jason represents companies in the financial services and housing industries in state and federal litigation. Jason has experience in all aspects of litigation, including pre-trial proceedings, motions, discovery, pleadings, and appellate practice. Jason has represented clients in federal and state courts, as well as before federal agencies such as the Department of Justice, Federal Trade Commission (FTC), U.S. Department of Housing and Urban Development (HUD), and the Consumer Financial Protection Bureau (CFPB). Jason defends claims affecting the financial services industry, including class actions, government enforcement actions, False Claims Act matters, and government administrative proceedings. Jason also provides regulatory counsel to financial companies regulated by the CFPB, including assisting with preparation for regulatory examinations, representation in investigations, and targeted reviews. Jason regularly speaks at industry functions nationwide regarding regulatory and litigation matters affecting the financial services industry. Jason also has previously served on the Editorial Advisory Board for Banking Law 360, and is a member of the American Bar Association’s Consumer Financial Services Committee.